Case expands 1" for added packing capacity. •Matte black hardware finish. 400D x 360D Nylon - Nylon is a high strength, durable material with excellent wear properties. The term " denier" (D) refers to the size of the yarn used: the larger the denier the bigger the yarn, features a special water resistant coating to help keep gear dry. Spinner Wheels - Four wheels...zero effort, four multidirectional spinner wheels allow 360 degree upright rolling in multiple directions so there is no weight on your arm. 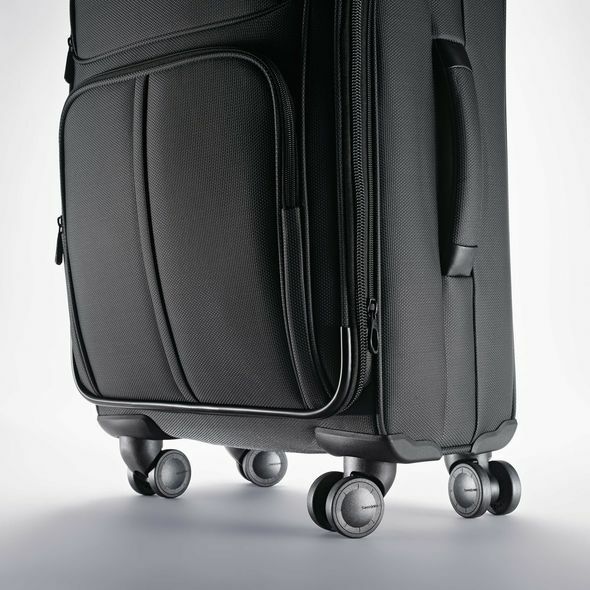 Retractable handle - Provides easy maneuverability when extended out from the suitcase, and stores neatly inside when not in use. 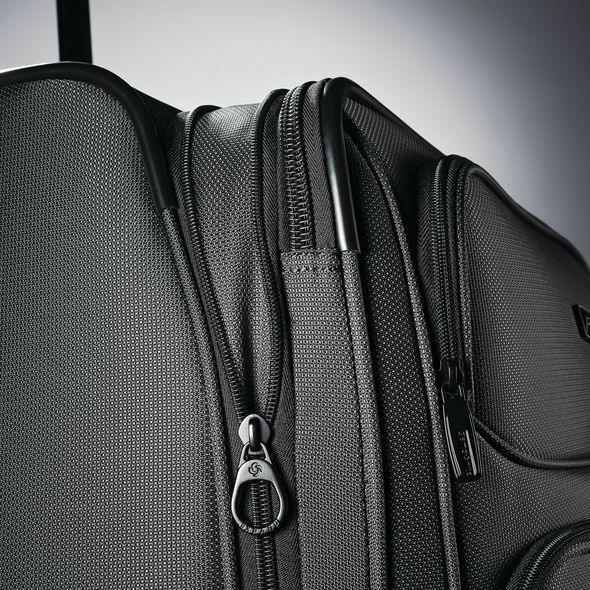 Locks in place in both the fully extended and stored positions for secure traveling. 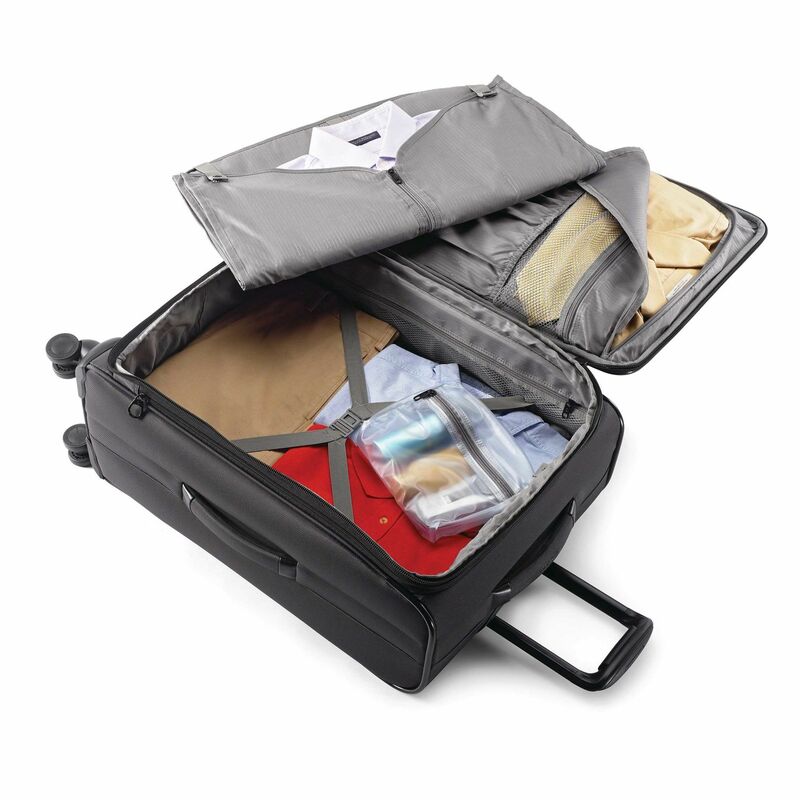 Wetpak™ - Zippered compartment which allows you to separately pack damp or soiled items. 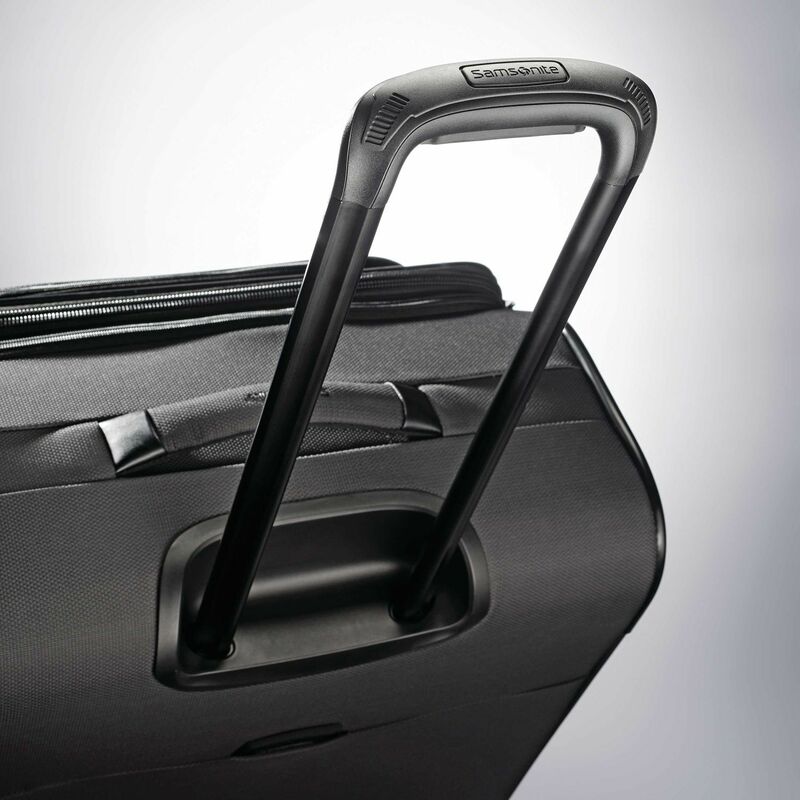 (WetPak™ not compliant to Carry-On guidelines) Corner guard - Bumpers are stitched onto the corners of your softside luggage to provide additional protection from wear and tear. 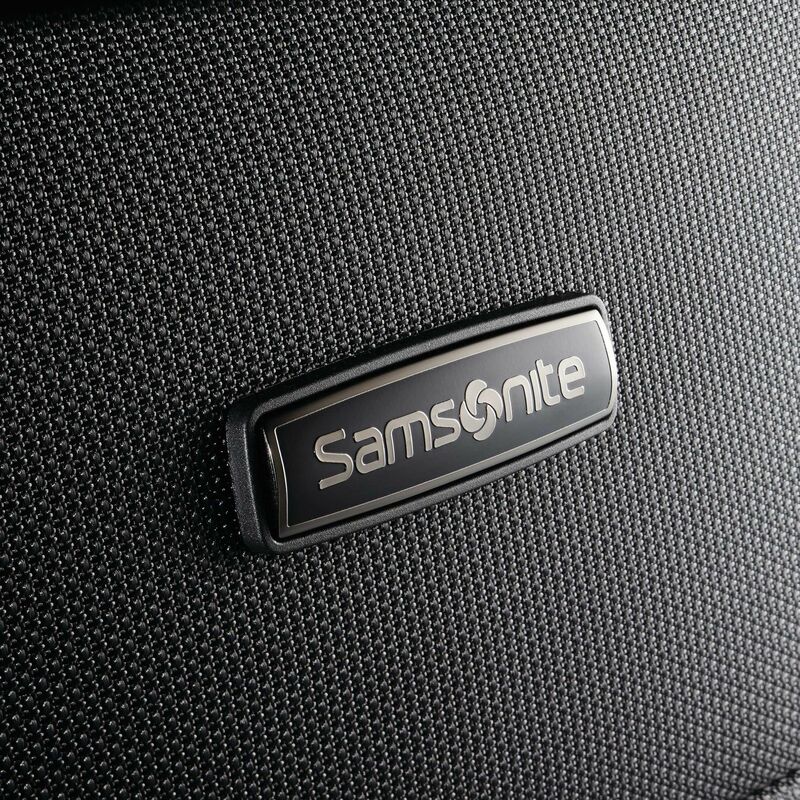 Expandable - Fabric folded within a zipper compartment opens with a zip to add 2" or more carrying space to the interior of your suitcase. Because you never know when you might need more room. Compression Straps - For extra security, reinforcement and ease in adjusting size of bag.